With innovative thinking like this, they might get my Senate vote yet. I wonder if Kevin Rudd has the first clue about the observation made by Assange concerning his PNG “solution”, right at the end. UPDATE: The Wikileaks Party website and Platform here. The policy of “standing up for national sovereignty” draws my eye, and applause. Jullian the next central planner of Australia. Taking peoples tax money and pulling the leavers he things should be pulled. Rothschild’s Economist launched him. Rothschild’s lawyer represents him. But who is he? I think you are right. http://tarpley.net/ Webster Tarpley thinks like wise. How do we tell their agents of deception ? Firstly they’re the darlings of the media. Many other genuine whistle blowers are ignored. Secondly they reveal nothing of consequence that we didn’t already know or suspect. Thirdly they direct away from the issues of real importance to us. Webster Tarpley is also excellent at geo-political analysis. Does this mean that the comments were censored or incorrect? It means the option to make comments is not available. Fair enough. I was expecting comment on the PNG solution. The clip was well worth listening to. Thanks for directing it to the forum Blissful. The comment at the end about the PNG solution appears to be more a comment about West Papua and Indonesia. The recent past with East Timor as well as Indonesia’s involvement in the people smuggling business (whilst it collects Australian Aid money (playing both sides) is probably more to the point. I have on many occasions thought that it might be worth while creating a website and inviting reputable journos to contribute so that the likes of Murdoch cannot feed us the poison they routinely do whilst permitting bad things to happen. I found the whole clip most interesting. It reinforced my own frustration with the mainstream media and I agree with Assange that debate is being kept very narrow with the media making the calls as what to publish or otherwise. Of particular interest was the reference to Tony Abbott where Abbott was put into perspective. Whilst we can trust none of our elected pack Abbott and his crew serve a very obvious master whom we all need to fear…..and avoid. I was honestly impressed by the clever, innovative thinking shown in some of his/their ideas for encouraging media diversity. Smart. Imaginative. Credible. Something we never see from the major parties, or the Greens, or pretty much anyone in mainstream Oz politics that I can think of. The only thing which occurred to me is if this might be a wayfor getting out of GB without being arrested and being deported to Sweden and then the US. 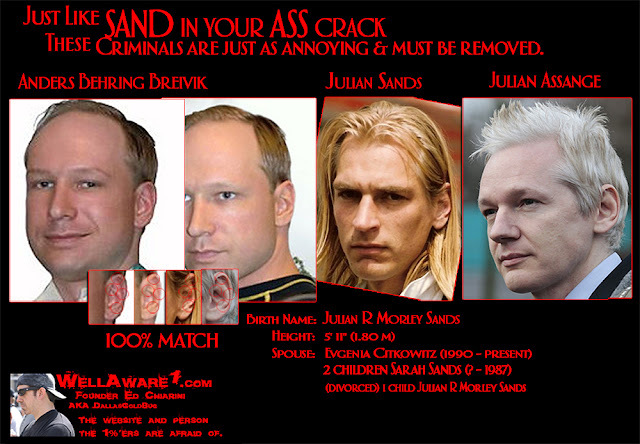 If Assange won a seat in the senate I am not sure whether or not he would have to be in Australia to be sworn in before getting diplomatic immunity. I am totally against those who take pleasure in making rules to run other peoples lives. All the existing statute books of the Commonwealth of Australia should be burnt then the man gods [politicians] can go home and content themselves with the exercise of only such rights and powers as Christ has given to them in common with the rest of mankind. As regards the refugee problem, we are part of the problem by assisting in America’s wars. Stop the wars and assist countries to get back on their feet and you would not have a refugee problem. EXERCISE ANY LEGISLATIVE POWER WHATEVER OVER THE PEOPLE OF THE UNITED STATES. “………………….As might have been expected, and as was, to a large degree, at least, intended, this Constitution has been used from the beginning by ambitious, rapacious, and unprincipled men, to enable them to maintain, at the point of the bayonet, an arbitrary and irresponsible dominion over those who were too ignorant and too weak to protect themselves against the conspirators who had thus combined to deceive, plunder, and enslave them. Do you really think, Sir, that such a constitution as this can avail to justify those who, like yourself, are engaged in enforcing it? Is it not plain, rather, that the members of Congress, as a legislative body, whether they are conscious of it or not, are in reality, a mere cabal of swindlers, usurpers, tyrants and robbers? Is it not plain that they are stupendous blockheads, if they imagine that they are anything else than such a cabal? Or that their so-called laws impose the least obligation upon anybody? If you have never before looked at this matter in this light, I ask you to do so now. And in the hope to aid you in doing so candidly, and to some useful purpose, I take the liberty to mail for you a pamphlet entitled: “NATURAL LAW; OR THE SCIENCE OF JUSTICE; a Treatise of Natural Law, Natural Justice, Natural Rights, Natural Liberty, and Natural Society; Showing That All Legislation whatsoever Is an Absurdity, a Usurpation, and a Crime. In this pamphlet, I have endeavored to controvert distinctly the proposition that, by any possible process whatever, any man, or body of men, can become possessed of any right of arbitrary dominion over other men, or other men’s property; or, consequently, any right whatever to make any law whatever, of their own — distinct from the law of nature — and compel any other men to obey it. I trust I need not suspect you, as a legislator under the Constitution, and claiming to be an honest man, of any desire to evade the issue presented in this pamphlet. If you shall see fit to meet it, I hope you will excuse me for suggesting that — to avoid verbiage, and everything indefinite — you give at least a single specimen of a law that either heretofore has been made, or that you conceive it possible for legislators to make — that is, some law of their own device — that either has been, or shall be, really and truly obligatory upon other persons, and which such other persons have been, or may be, rightfully compelled to obey. If you can either find or devise any such law, I trust you will make it known, that it may be examined, and the question of its obligation be fairly settled in the popular mind. But if it should happen that you can neither find such a law in the existing statute books of the United States, nor, in your own mind, conceive of such a law as possible under the Constitution, I give you leave to find it, if that be possible, in the constitution or statute book of any other people that now exist, or ever have existed, on the earth.